Time to find out who will be our next generation of Olympians. The 2016 U.S. Track & Field Olympic Trials are set to begin this week, running for 10 days at the historic Hayward Field in Eugene, Ore. Thirty-one HepsNation athletes will try to get the chance to represent Team USA at this summer’s Olympic Games in Rio de Janeiro, Brazil. The top three finishers in an event that have the Olympic Games standard will get to wear the Team USA uniform (fortunately for all of us, there are no A or B standards or complicated qualification procedures this time around). 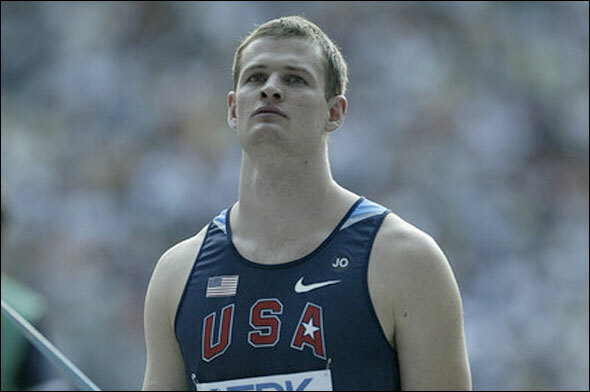 Four athletes are previous Olympians who seek to make another Team: the 2004 Olympic shot put gold medalist Adam Nelson who wants to make his fourth team, steeplechaser Donn Cabral wants to make it to another Olympic final, Sean Furey seeks his first Olympic final, and Morgan Uceny who wants redemption from her fall in the 2012 1,500m final. Action begins on July 1st and continues through the Independence Day weekend and concludes on July 10th. We’ve broken down the schedule and who will be competing in the table below the cut. So be sure to take a pause in your Independence Day festivities to catch the athletics action through NBC – online through NBCOlympics.com and on TV through NBC and NBC Sports Network (check out the broadcasting schedule here – courtesy of USATF.tv). NOTE: all times below are Pacific Time. Good luck to all HepsNation members at the Olympic Trials! This entry was posted on Thursday, June 30th, 2016 at 11:00 am. It is filed under Olympics, Spotlight. You can follow any responses to this entry through the RSS 2.0 feed.